Our world is moving towards a data-oriented approach to decision-making in every walk of life. Packaging analysis in a way that’s easy to digest can increase its reach and effectiveness. Humans have evolved to develop a very acute sense of pattern recognition. Using storytelling to represent your data through various graphical and pictorial tools helps the audience easily process and digest your data. Before we explore the tools and practices that can come to our aid, let’s step back and consider the purpose of data storytelling in the first place. On its own, data means nothing. Tying the data together with a good, coherent story makes for a compelling narrative. It imprints the information on the minds of your audience in a way that’s precise and indelible. Let’s look at six key factors that you must keep in mind while telling a good story with data. Why has this exercise been undertaken? What is the data that you are dealing with? What information are you trying to uncover? 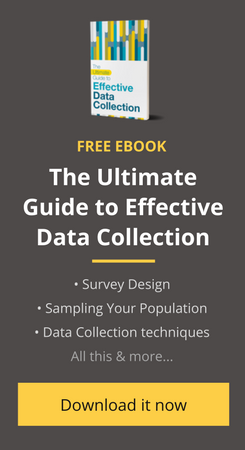 Being clear with the answers to these questions is crucial before you even begin processing the data. Thinking through exactly how you will analyze your data and create a story around it can help you anchor your process throughout the entire cycle of data collection, interpretation, and packaging. Spending time and thought at this stage can be tremendously effective in minimizing confusion as you move ahead. Analytical work with even the slightest degree of human involvement cannot be completely free of bias. Even if much of the work is being performed by computer models, there are hundreds of assumptions that need to be made along the way. Though bias cannot be entirely weeded out, staying on guard can help you identify and balance these tendencies. Statistical analysis in a social or economic setting naturally yields results with a certain degree of uncertainty, which can have major implications on decision making. The users of your analysis have a right to know about this uncertainty. Acknowledging uncertainty can make you seem less confident than those who may claim to be a hundred percent correct but, in the long run, maintaining a policy of full disclosure is the most responsible thing to do. Not bringing up the known unknowns and lulling your audience into a false sense of confidence could be catastrophic. Anybody with Excel can draw up a string of numbers and make some charts. But what does this information mean in the larger scheme of things? Add that something extra that only a human touch can bring to the table. Create a compelling narrative and put your analysis in perspective. People don’t simply want to see numbers. They want to know what the numbers mean. They want to know the story behind them. Tailoring your analysis to suit the preferences and expertise of your audience is a critical step. Structuring the presentation around what the listeners know, don’t know, need to know, and don’t need to know is a good way to begin. A talk about the genetic diversity in the Amazon rainforests would look very different when you’re speaking to a group of senior biologists rather than students in secondary school having their first taste of the subject. Following these six simple steps will help you package your analysis effectively and create an impact with your story. Once you have your data story, you need to visualize it. Let’s look at ways to support your data story with strong, relevant illustrations that make the analysis clear and drive home your message loud and clear. Sometimes data just needs to be shown the way it is. However, long tables and worksheets can be drab and difficult to comprehend. In this case, consider using different arrangements, colors, and conditional formatting to highlight categories and trends. Doing this will make life a lot easier for users and will help them quickly derive meaning from the data. These charts are a very simple form of graphical representation that helps users grasp relative magnitude. They are especially useful while comparing two quantities over a period of time. When you need to show trends and highlight changes that have occurred over time, line graphs are the best representation, as exemplified by the ubiquitous stock market charts. When numbers and absolutes may not convey the complete meaning of the data very effectively, supplement the information with a symbolic pictorial representation. Weather forecasts are a good example of this. When you want to show how different parts of a whole contribute to form the bigger picture, pie charts do the job better than anything else. That said, the chart doesn’t strictly need to be completely circular, as seen below. A choropleth map is a map where areas are shaded or patterned in different colors depending on their value. The above choropleth map was created on Viz, the easiest way for anyone to build thematic maps. Viz currently has state maps for India, U.S., Hungary, Mexico, Italy, Belgium, Brazil, South Africa as well as India district, sub-district and city maps on the platform.